Seven hotels in the Disney Springs Resort area and the Four Seasons Resort have all extended their arrangement with Walt Disney World for Extra Magic Hours and FastPass+. The extension means that the hotels will be eligible for Extra Magic Hours and the 60 day booking window for FastPass+ through December 31 2020. 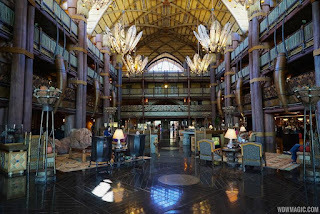 The Disney Springs Resort Area Hotels are: B Resort & Spa; Best Western Lake Buena Vista; DoubleTree Suites by Hilton Orlando; Hilton Orlando Buena Vista Palace; Hilton Orlando Lake Buena Vista; Holiday Inn Orlando; and Wyndham Garden Lake Buena Vista. 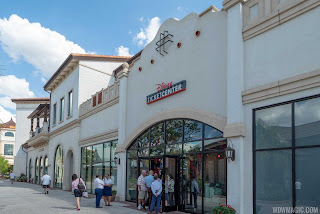 The Disney Springs area hotels began offering EMH and 60 day FastPass+ in 2018. Toy Story 4 arrives in theaters on June 21 2019, and Disney has just announced that one of the main characters from the movie will begin appearing at Walt Disney World. 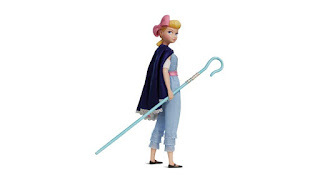 Bo Peep will be appearing in Toy Story Land at Disney's Hollywood Studios from the summer. The land currently includes meet and greets with Woody, Buzz and Jessie. Attractions business website blooloop sat down with several creatives at Disney Parks Live Entertainment and revealed a few details of what we can expect with the upcoming Epcot Forever show. 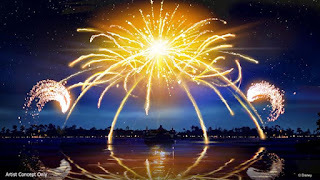 The original announcement from Disney described "Epcot Forever" beginning with a spark of imagination that swells into an epic spectacle of fireworks, music, lighting, lasers, and special effects kites. blooloop.com elaborates on that, indicating that the show's kites will be operated by two-man teams abroad personal watercraft - something similar to a jet ski. Each of the 8 watercraft will carry a driver and kite operator. Music is said to include "One Little Spark" and "Magic Journeys," and Walt Disney World Live Entertainment producer Ray Coble says that "pyro is the star." 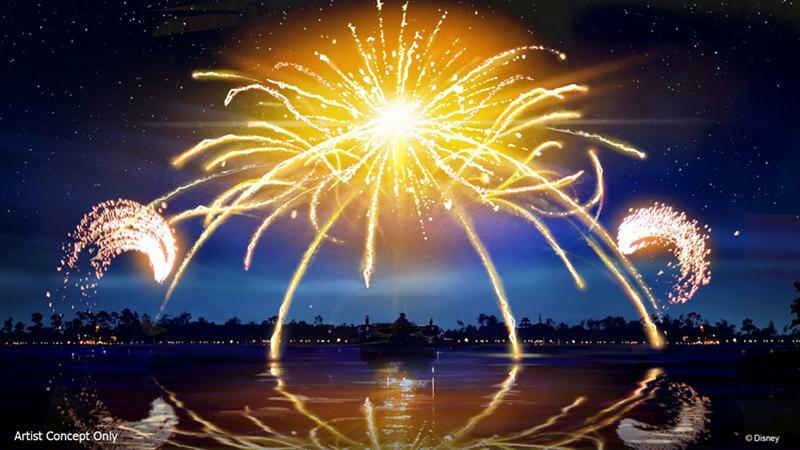 The limited time "Epcot Forever' show will open immediately following the conclusion of Illuminations: Reflections of Earth in the fall of 2019. 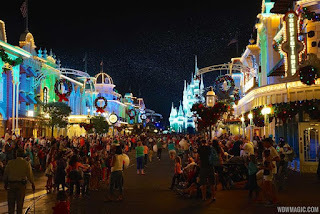 The park's permanent nighttime spectacular will debut later in 2020. The full article can be found at the link below. "Epcot Forever" nighttime spectacular will debut on October 1 2019. Don Harper is credited with work on the scores for National Treasure, Training Day, Armageddon, The Rock, Twister, Broken Arrow, Assassins, and Speed. In the theme park environment, Harper recorded the soundtrack for Fantasmic! at Tokyo DisneySea and most recently, for Rivers of Light at Disney's Animal Kingdom. In the video below, you can hear some of the music from the new show and see test footage of the new kites that will be part of the show. After it launches October 1, “Epcot Forever” will continue into 2020, when it will then make way for the debut of the next Epcot nighttime spectacular as part of the park’s multi-year transformation. The Orlando Sentinel has reported that Virgin Trains plans to build a station at Walt Disney World as it begins work on a rail link from South Florida to Central Florida. Virgin Trains president Patrick Goddard said that the service "would integrate with their transportation system, hotels and theme parks." The service would also include a station at Orlando International Airport, which could see a rail service from Miami to Orlando and to the theme parks. The expected timeframe is 30 - 36 months. Aiming to reinvent train travel in the United States, Virgin Trains USA is the express inter-city passenger rail service that currently connects Miami, Fort Lauderdale and West Palm Beach, with plans to expand to Orlando and Tampa. The company, under direction of Sir Richard Branson, has raised nearly $1.8 billion in the last few weeks, enough to build the link to Orlando. Walt Disney World Resort hotels are now charging a service fee for in-room deliveries of packages and groceries. A $6 service fee will be charged if you request the grocery order or package to be delivered to your room. Pickup at the lobby continues to be complimentary. The service fee is per order and not per bag and only applies to deliveries made to the room. Deliveries made to bell services can still be picked up at no charge. 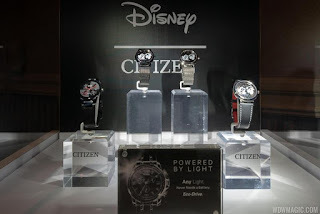 The new Citizen Watch Mickey Collection is now available for purchase online. The nine Mickey timepieces that celebrate Mickey's 90th birthday are featured in two distinct sizes, 29.5mm and 40mm, all featuring the iconic Mickey figure. Four 40mm timepieces feature a flat mineral crystal case in all black with silver indexes, two of which are on a bracelet and the others, a black leather strap. The three remaining 40mm timepieces are offered on a black leather strap, black mesh band or silver mesh band. The dials are black with transparent Mickey print and face design details with spherical mineral crystal. Citizen’s two 29.5mm Mickey timepieces feature a black dial with diamond accents and case and bracelet in either stainless or stainless steel with rose gold plating. The flat mineral crystal case is complete with a miniature Mickey face positioned at the 8 o’clock marker. Inspired by Citizen’s best-selling silhouettes, the entire collection ranges from $295 – $475 and are now available for purchase via citizenwatch.com. Late last year, Disney and Citizen also unveiled the new Citizen branded in-park clocks, part of the 12 year agreement between the two companies. The full collection can be seen and purchased on Citizen’s website. The Pixar Play Zone at Disney’s Contemporary Resort, has concluded its limited-time run and The Game Station Arcade will be returning. 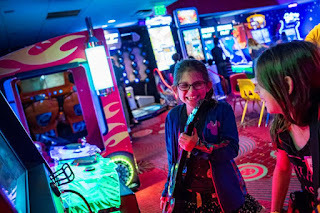 The Game Station Arcade will reopen at Disney's Contemporary Resort on April 8 2019. Tickets are now on sale for the 2019 Mickey's Very Merry Christmas Party, which will feature an all new firework spectacular this year. The least expensive ticket remains at $99 as it was last year, although the highest price ticket goes up from $125 last year to $139 for this year. As in previous years, pricing varies depending on the date of the party. Passholders can get $5 discount on the advance pricing listed below. Tickets can be purchased at the official website. The Tasting Sampler that debuted last year at Disney's Animal Kingdom will be returning in the Spring of 2019. The offer last year got you $35 of food for $30, and preferred seating for one guest at the second showing of Rivers of Light. For 2019 the deal is a bit more complicated. The sampler costs $50 and includes two digital value cards: one $50 card that can be used at over 40 outdoor food and beverage locations throughout the park (and does not expire), and a bonus $10 card that can be used at the following quick-service restaurants after 5pm from April 12-22, 2019: Restaurantosaurus (DinoLand U.S.A), Pizzafari and Pizzafari Family-Style Dining (Discovery Island), Flame Tree Barbecue (Discovery Island), and Satu’li Canteen (Pandora – The World of Avatar). At each of the outdoor food and beverage locations, you can use the $50 card to purchase anything on the menus. Disney’s Animal Kingdom Tasting Sampler can be purchased through April 22 2019 at noon and can be used at Disney’s Animal Kingdom Theme Park during regular operating hours. When you purchase the sampler, you’ll receive an email for each digital value card. Each email will have a barcode that can be added to your digital wallet on your mobile phone and scanned at most food and beverage locations throughout the park. For a full list of participating locations and menu offerings, visit any food and beverage location at the park. To purchase, visit Offers.Disney.com and use the code DAKDINEBONUS. The preview replaces the sneak-peek of Dumbo and begins April 29 2019 ahead of the movie's release in theaters on May 24 2019. 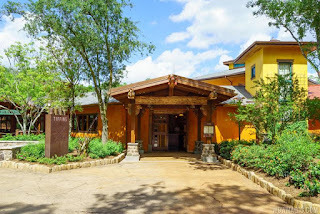 Disney's Animal Kingdom will be celebrating Earth Day with Party for the Planet April 20 - 22 2019. 'Tiffins Talks' returns, with Walt Disney Imagineer and Portfolio Executive Joe Rohde talking about his travels around the world. The 4-course lunch features global dishes, desserts and specialty beverages. Pricing for this dining package is $199 plus tax and gratuity and requires separate park admission. Reservations can be made beginning today by calling 407 WDW-DINE (407 939-3463). Joe Rohde will also be at Mombasa Marketplace, 10am - 11:30am April 20 and 22, where he will be on hand to sign his own unique artwork, a commemorative lion print that will be on sale throughout the event while supplies last. A wristband is required to meet Joe Rohde. The third parking garage at Disney Springs, known as the Grapefruit Garage, will officially open on April 16 2019. Located across from the existing Lime Garage, it will offer direct access into the Marketplace at Disney Springs via a pedestrian bridge. With the opening of the new garage, Cast Members will now be required to park in this garage, which will free up additional space in the more conveniently located Orange and Lime garages. Guests will also be able to park in Grapefruit if they wish. As with Orange and Lime, Grapefruit will feature the smart parking system that identifies free capacity on each level and free parking spaces within each row. The new Disney Ticket Center is now open in the Town Center at Disney Springs. Located next to Blaze Pizza behind D-Luxe Burger, the new store offers assistance with Disney theme park ticket purchases, upgrades, Annual Passes and dining reservations. You can also pick-up guide maps for the parks and Magic Bands.